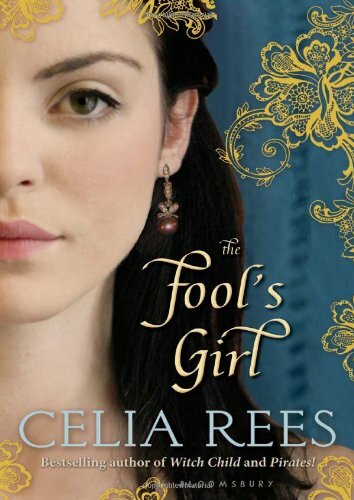 If you like Shakespeare you will love The Fool's Girl. The book is the story of how Shakespeare got the ideas to write his play Twelfth Night. For me however the story really didn't work. I really don't like anything to do with Shakespeare (I blame my High School English teacher) and have never read or even know the vague jist of Twelfth night which probably left me at a distinct advantage. I did like following the story of the characters and found what was happening interesting enough to keep me reading but I didn't really care what was happening to them and wasn't drawn to any of them individually for any particular reason. So all in all while I would certainly recommend Celia Rees for someone looking for good historical fiction I would only recommend this is you enjoy / have an interest in the works of Shakespeare. I had similar thoughts about this one. I liked it and Rees' writing was great but even though I've studied and watched Twelfth Night, the story was a little complicated at times. I really enjoyed this book but then I am a huge Shakespeare fan and I think it probably helps to have an understanding of the plot of Twelfth Night before reading this one.